These large plush toys are sturdy enough for chasing, chewing, and tumbling, yet soft and cuddly for snuggling pleasure. Most large toys grunt, squeak and rattle. All Large & Junior items squeak and rattle. 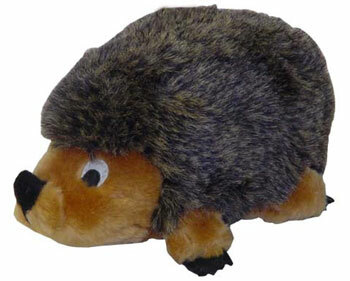 Plush Puppies - Hedgehog II - Grey - Large - 6"W x 12" H X 6"L product is categorised under Wholesale Plush Puppies (Kyjen), WA products, Wholesale Dog Products, Wholesale Toys, Wholesale Plush Toys.